One of the biggest intralogistics trade fair in Europe, LogiMAT is expected to attract over 1,600 exhibitors from over 40 countries. The show enables industry players to get an insight into the market and also obtain significant knowledge in intralogistics and process management. With an exhibition space of more than 120,000 sq m, this year’s LogiMAT trade fair is definitely bigger! 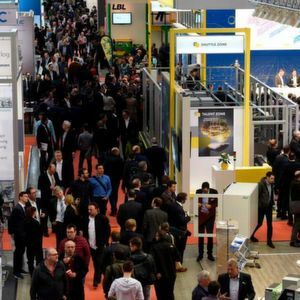 Scheduled to be held from February 19–21 in Stuttgart, Germany, the popular trade show focuses on intralogistics solutions or technologies and process management. In other words, it is a show for in-company material flow and computer-controlled processes from procurement to production and distribution in the European region. The show will throw open its gate to the world post the official opening ceremony of LogiMAT which will be held by Michael Ruchty, Exhibition Director LogiMAT Stuttgart, Euroexpo Messe- und Kongress, Munich Innovations. This year, LogiMAT will be celebrating its 17th edition and its core theme is ‘First-hand intralogistics: Intelligent – Efficient – Innovative’. The show has reported that over 1,600 exhibitors from over 40 countries will be participating at the event; out of this figure 250 exhibitors will be participating at LogiMAT for the very first time. In terms of international exhibitors, 90 of them are from Australia, Canada, China, India, Japan, Korea, Taiwan, and the United States. From this, over 50 exhibitors are from China and Taiwan. In line with the theme of the show, exhibitors will showcase innovative as well as new intralogistics products and solutions to industry players. The various solutions that will be displayed at the trade fair include innovations for end-to-end process automation; Intralogistics software solutions that support artificial intelligence; Industrial wearable-based augmented reality innovations; the latest solutions in forklifts and related accessories; driverless transport systems; solutions for telematics and transport management; information security management systems; latest software solutions for customs, shipping, and export controls; IT-supported services; Cutting-edge products and services such as turntable stretch wrappers, 3D center-of-gravity scales, 3D freight dimensioning in both mobile and ceiling-mounted models, digital security printers; and much more. 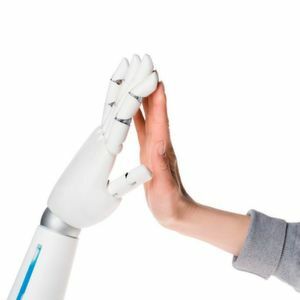 According to the organisers, Euroexpo Messe-und Kongress, exhibitors have already announced that they will be displaying close to 130 fresh innovations that have never been seen before. This has already got industry players excited to attend the trade fair. The event will also act as a platform for exhibitors as well as visitors to generate potential business leads and network with industry leaders respectively.